Post-apocalyptic life must be a dismal experience. The endurance of a joyless existence of survival, surrounded by the remnants of all that is absent? It’s not for everyone. I learned to accept this while playing a frustrating 20 hours or so of State of Decay 2’s single-player mode (we’ll cover co-op in a later article). Here is a game that simulates the hard life of a scavenging survivor, slipping through the alleyways of despair, searching for sustenance between wandering zombies. State of Decay 2 manages to simulate this gray, dispiriting life so fully that my denouement was self-annihilation. I’d had enough, so I gave myself up. I stood in the street, waiting for the dead to come and, literally, put me out of my misery. I had learned to survive, and I’d become reasonably competent in following the game’s rules of staying alive. But in the doing of State of Decay 2’s endlessly dreary tasks, I became too sad and too tired to continue. I was without hope that the merciless grind contained any joy. State of Decay 2 is set in an American landscape dominated by the walking dead. It’s a place of abandoned houses, broken garages and empty stores. Zombies walk around, attacking any humans that come within, say, 10 feet of them. It mainly follows the precepts of the original State of Decay, released five years ago, but greatly expands its open world, adding more freedom to choose missions along with other extras such as cooperative play. 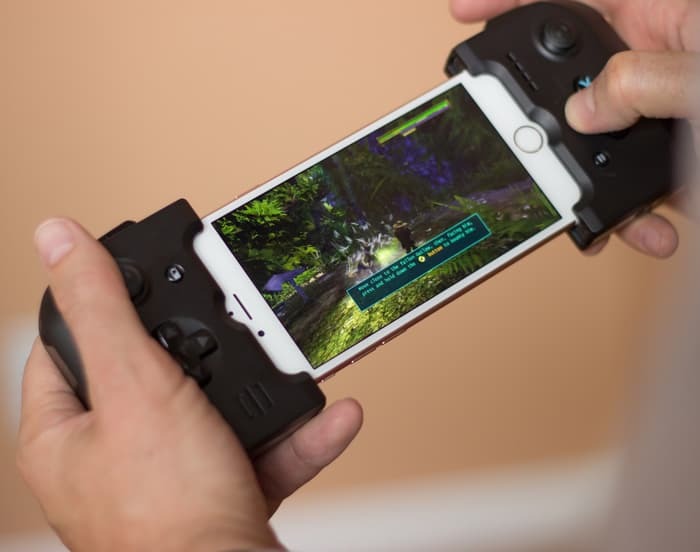 But while that game felt like an innovation to the kill-monsters genre, this sequel plods dutifully through dystopian landscapes of open-world busy work. I play as a human member of a small party of survivors. We eke out a living in a tiny compound. I travel the world in search of useful things, such as meds, food, weapons and fuel. I defend myself against zombie attacks using variants of baseball bat and pistol. But in order to safeguard my future, I must attack nests of zombies. In these circumstances, where the odds are imposing, I make use of decoys and firebombs as well as a dash of tactical nous. Rare automatic firearms are best saved for what are, essentially, boss fights. Back at the compound, I grow my community. We build amenities, recruit new helpers, establish a basic hierarchy. We move to bigger compounds. I am not one single person. I switch between members of the compound, ranging and fighting, while my mates recover their health. We each become better at surviving. Our abilities to fight, run, shoot and scavenge are among a range of statistics that improve through repeated activity, of which there is an abundance. 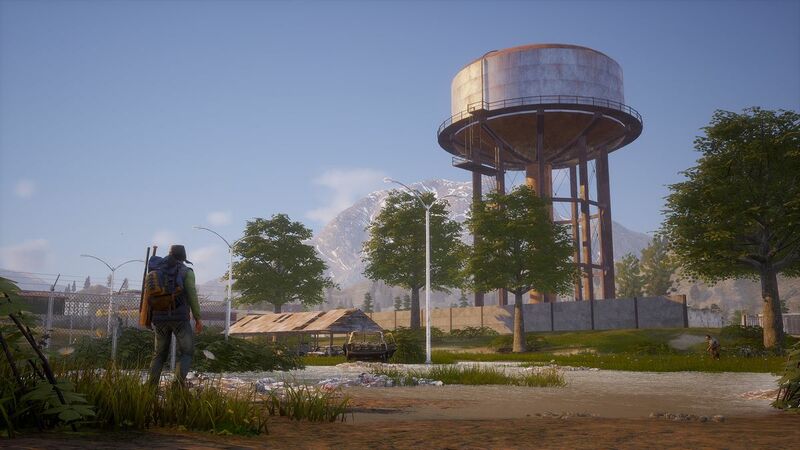 State of Decay 2 makes use of the standards of open-world video game map discovery. Towers must be climbed in order to discover locations, which must then be conquered in order for the map to seep outwards and onwards to more towers and more locations. Along the way, missions are introduced, which repeat the core activities of exploration and conquest. It’s the well-trod procedural of map subjugation, as seen in a zillion game series. I scour a hundred houses, a dozen stores, a thousand rooms. Most of them offer some glowing box or wardrobe, in which I search for stuff, which I cram into my bag, which I lug back to the compound, to be deposited in storage. Along the way, I kill zombies. Then, I hand myself over to another character to do the same again. To break up the monotony, I can answer a radio call to help other survivors, who want me to collect stuff for them, or deliver them someplace or kill more zombies for them. They reward me with stuff. 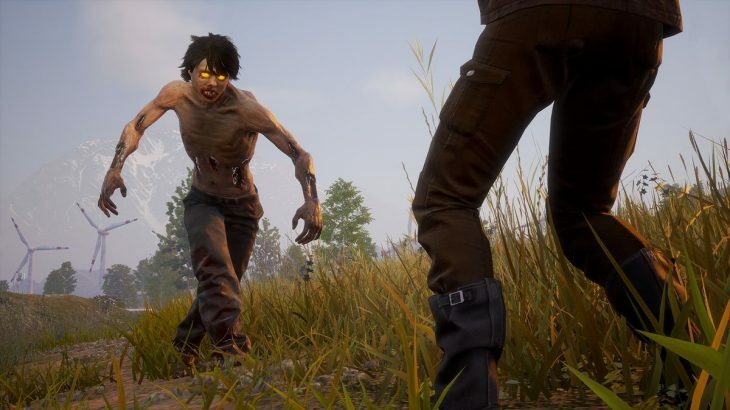 These various tasks might sound fun — in other games, they have been — but in State of Decay 2, the business of zombie killing fails to offer much in the way of pleasure. To call it “combat” is mostly disingenuous. I learn to dodge attacks and to kill zombies with the minimum of effort. They are only dangerous if I am foolish enough to attack them while they congregate in large numbers, or if I assault their nests without the necessary tools or preparation. These dead people come in varieties, each with their own easily mapped attacks. Tactically, it is not difficult to determine their strengths and weaknesses. There are satisfying moments of victory over the enemy — especially when mowing them down with a rusty vehicle — but they are mostly tiresome obstacles, little more trouble than climbing a fence. Zombies are supposed to be frightening. When I encounter them in movies and on TV, they certainly frighten me. But in State of Decay 2, I never experience a crawling of the skin, a raising of the arm hairs. I do not feel the cold thrill of horror. When I consider that these creatures are walking, rotting, aggressive cadavers, this seems to me to be a significant failing in effective storytelling. Like the game’s zombies, its human heroes are served up in limited varieties. I can be a man or a woman of diverse skin tones, speaking in different accents. Sometimes I am competent. Often, less so. My personality manifests in scripted voice samples, which sit on a scale ranging from funny, through irritating, to serious. The words of these humans are canned, and have no more resonance than the groans of the zombies. They are a soundtrack that simulates a vague notion of humanity, without capturing its essence. When they die, they die forever. My reaction is merely to regret the loss of a useful amalgam of stats and abilities. The people in this world are mannequins. They are, for want of a better phrase, a walking dead. 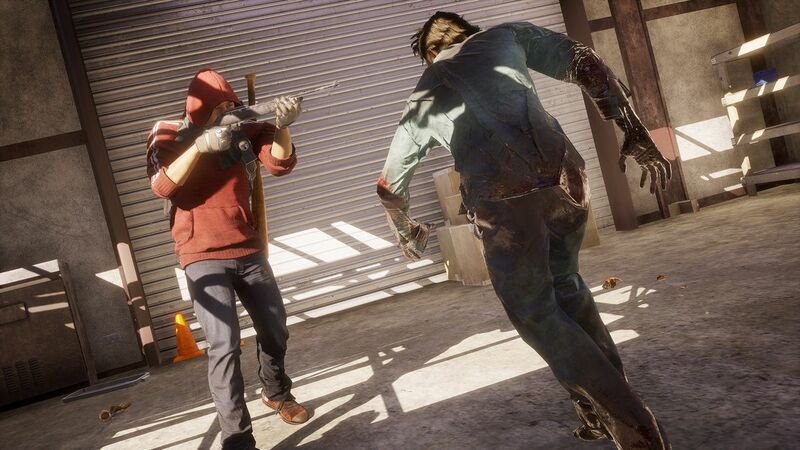 State of Decay 2’s co-op options offer the promise of real human interaction, which I suspect will find favor with the game’s fans, especially those who want to tear into a good old-fashioned brawl. Apart from time in a brief preview demo, I haven’t played the co-op yet, and I’m not certain I ever will. The zombie nest boss fight setups, which will surely draw the focus of team play, feel less like a multitasking tactical problem and more like a gleefully murderous pile-on, which is fine, so far as it goes. Despite a good deal of jank and bugs, I enjoy some of my time with this game. It carries the compulsion of economics sims and empire building games. If you are a completionist, or easily hooked by gameplay loops, you may find pleasure here. In its urge to expansion, State of Decay 2 reminds me of a certain kind of scratch-the-itch mobile game, perhaps Star Wars: Tiny Death Star. It delivers a loop of achievements and tasks that feel worthwhile, until I realize that actually, they’re not. Mostly, though, it just reminds me of a host of open-world games that are more beautiful, more storied, more fun. Post-apocalyptic fiction is surely about the worth (or otherwise) of human existence. If this game is about the value of life and living, the pure fun of being, then it works best as a reminder that there are other ways to spend our precious time. State of Decay 2 was played using a final “retail” Xbox One/Windows download code provided by Microsoft. You can find additional information about Polygon’s ethics policy here.